Māori Television reports on this year's prestigious Māori Sports Awards, including the finalists, the results on the night, as well as other related stories. 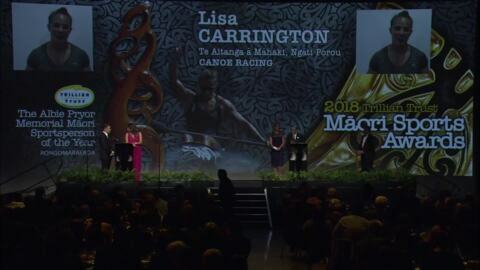 Lisa Carrington has won the Rongomaraeroa Supreme Award for 2018, as well as Senior Sportswomen of the Year. This will be Lisa's fifth year winning the Supreme Award - an unprecedented record for any category at the Māori Sports Award event. Desrae Garratt has a lifelong affinity to tennis. 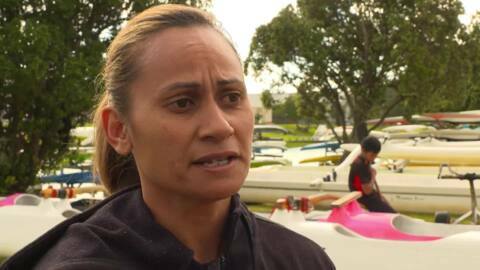 Of Ngāi Te Rangi origin, she has been named as a finalist for the umpire of the year at Māori Sports Awards this weekend. Te Whānau-a-Apanui - Ngāpuhi and Samoan athlete Rieko Ioane has been named Māori Sportsman of the Year winning the Te Tama-ā-Tānenuiarangi award. Commonwealth swimming gold and silver medalist, Lewis Clarburt and Latricia-Leight Transom "over-lapped" their peers when the winners of the Junior Māori Sportsman and the Junior Māori Sportswoman awards were announced at the Vodafone Events Centre in Manukau tonight. Nearly 60 individual Māori world champions and Māori in world champion teams are being recognised at the 2017 Aotearoa Māori Sports Awards tonight. Some of them are also finalists in the top four of the nine categories being celebrated. 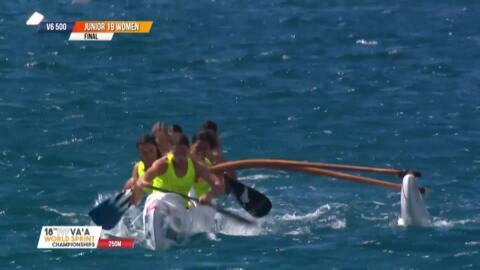 The Indigenous Tag competition took place at Takanini's Bruce Pulman Park over the weekend. Here are a few highlights from the American Samoa vs Tonga U18s, Greece vs Cook Islands Open mixed and the open men’s final Lebanon vs New Zealand Invitational. Delayed coverage of the 2013 Māori Sports Awards, in which top Māori sports people are honoured at a black tie event at the TelstraClear Pacific Events Centre in Manukau.